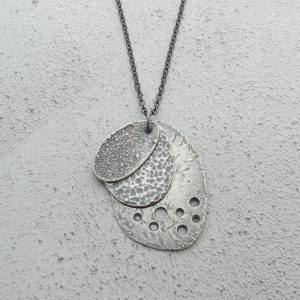 Layered Seashore Necklet handcrafted with individuality and uniqueness in mind. These unique necklets are a perfect statement piece suitable for everyday wear as well as special occasions. 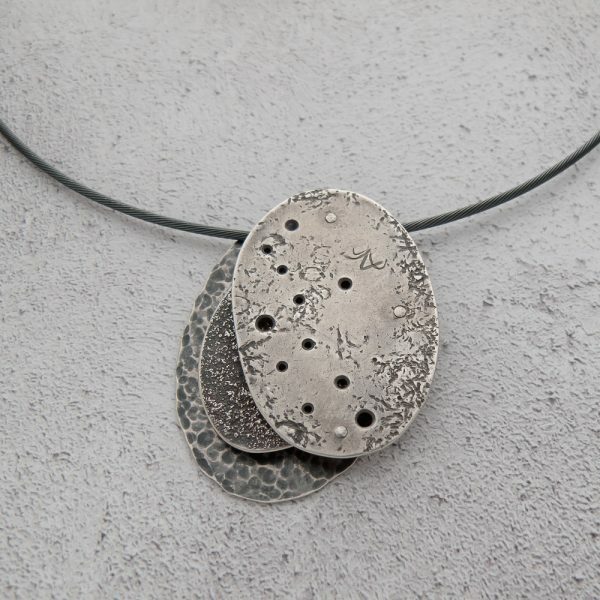 Handcrafted from the flattened bowls of antique silver teaspoons, these unique necklets have three layers of textured silver inspired by the ripples in water, the patterns in sand and the surfaces of rocks and pebbles. 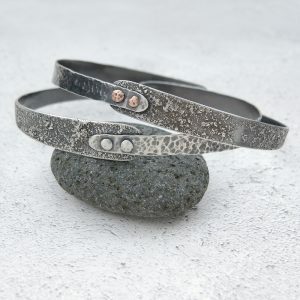 The layers are juxtaposed and held firmly in place with either silver or copper rivets; the riveting process incorporates tiny tubes of silver between each layer to separate them so they do not touch. Each necklet measures approx. 3.5cm x 5cm – sizes vary slightly depending on the spoons used. Hung from thick 40cm/16″ cable necklets with a bayonet clasp. 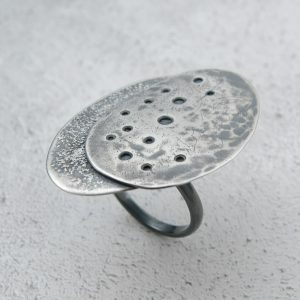 When out of stock, this item can be made to order. Simply select the rivet option you'd prefer and place the item in your basket and pay today. 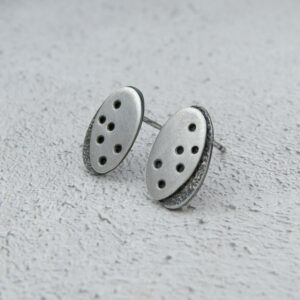 Your order will take approximately 14 days to be processed, handcrafted, hallmarked and shipped.